Bringing people and the produce industry together. Will those tomatoes EVER turn red? A common question lately is “Should I give up on my tomatoes?” Many novice as well as veteran tomato growers are seeing less-than-stellar performance with their crops this year. A typical complaint is that plants haven’t grown as large this year as they usually do. Others are noticing much less fruit than normal. Some gardeners are seeing lots of green fruit on the vine that just isn’t turning red. Is it time to throw in the proverbial towel? The answer would be — not just yet. Tomatoes grow best when there’s plenty of heat, and this summer the weather just hasn’t cooperated. Last month was one of the coolest Augusts on record, and those cool summer nights have caused lots of blossom drop. However, if we end up getting some late heat, you might be surprised how quickly those fruits can turn from green to red. Also, several varieties of tomatoes can keep producing for a few more months; many of us were still picking tomatoes off the vine in November last year. If the heat doesn’t get turned on, don’t despair: Veteran tomato and pepper growers Dot and Jim Maley have some great suggestions. 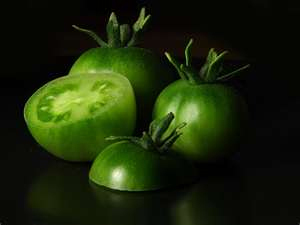 Use those green tomatoes (or red ones if you have them) to create a fresh salsa. Next year (in case we have similar weather), you might want to plant a few Eastern European varieties of tomatoes, which tend to produce consistently results even with the cooler weather. Healthy Eating: Are Pomegranates a Miracle Fruit?